So the clocks have gone forward and British Summer Time is finally here (someone might want to tell the weather), but although we’re excited to get our solar lights charging ready for those warm summer evenings in the garden, there are a few things we still miss about winter. Don’t worry we’re not about to shoe-horn in something about Christmas; we’ve actually really been missing the warm glow of a fire. 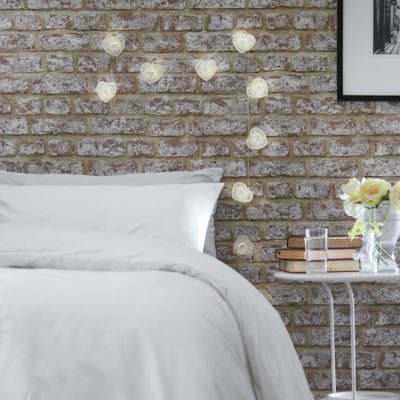 But although the weather isn’t exactly tropical yet it’s still definitely too warm for a fire, so we thought we’d give you a couple of ideas on how to get that warm fiery glow using fairy lights. This is also great if you have fireplace that doesn’t work or have young children and pets so don’t want open flames – or even if you don’t have a fireplace at all. So if any of the above applies to you, keep reading for 4 ways to warm up your non-working fireplace using fairy lights, or you could watch our video to see exactly how we achieved each look. Now this one is perfect for a toasty summer evening, it’s also completely safe if you have any children or pets scuttling round your garden. Yes, I know not everyone has a chiminea in their garden, but you can also achieve a similar look by simply piling up old logs in a corner. All you need to do is semi-neatly arrange some clean logs then take some outdoor fairy lights, we used battery wire lights, and wrap/place your fairy lights around them. Yes it’s that simple but just look at the warm inviting glow it creates. We just love creating fake fireplaces from fairy lights and logs, for this one we piled up lots of old logs inside a plastered inglenook. 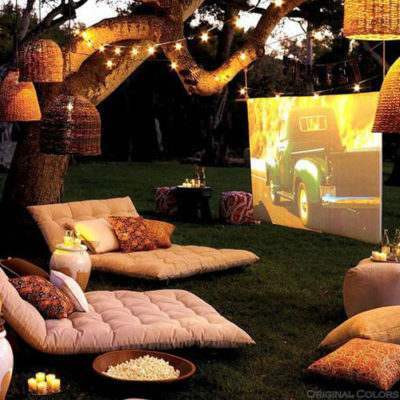 This looked amazing on its own but we wanted it to look a little warmer, so we placed fairy lights on top of the logs. We decided to use amber and warm white plug-in fairy lights because we loved the reflection these colours have off inside the nook, but you could use any fairy lights. Another way you can warm up your log filled fireplace is with wire lights. For this cosy look we wanted to recreate the effect real embers give off in a fire, so we wrapped amber wire lights around the logs. 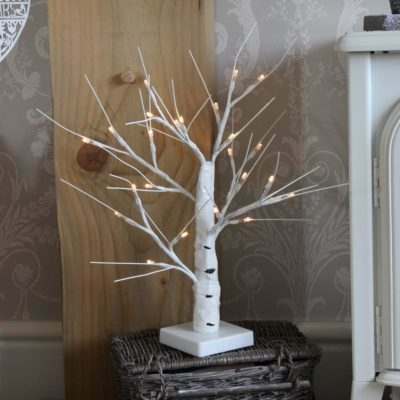 We used two sets of wire lights but you could use as many or as little as you like, this effect also looks great with warm white lights! . In this look we wanted to bring some of the warm out of the nook so we leaned more logs against the fire and wrapped wire lights around them. 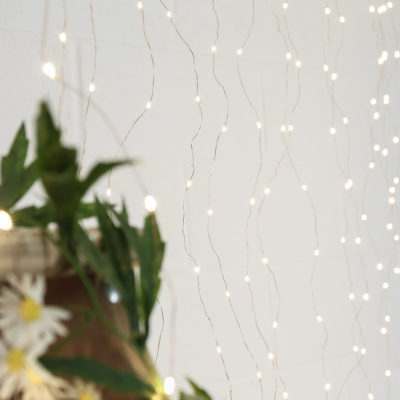 For this we used our longer warm white wire fairy lights and secured them at the back with push pins, and I think you can agree, it looked pretty good! We hope you enjoyed this blog post! Be sure to share if you think your friends, Romans and countrymen might like it too. As ever, we love seeing what our customers create with their lights, so let your masterpiece shine and post a photo on Twitter or tag us on Instagram, make sure you use the hashtag #MyFestiveLights and we’ll share our favourites.